Onboarding of new third parties is a key process for the firm and implementing procedures to ensure that the correct third parties are on-boarded is critical. It is an important part of your third party risk management program. It needs to be implemented consistently across the organization and this consistency is key to the long term evolution of your program. Termination of the relationship with a third party is also very important and is often a focus for regulators. There are business processes focused on the addition of new vendors but the processes on termination often receive much less attention. Firms should have processes in place to identify when and how third parties should be terminated and to ensure completion of the procedures associated with the proper termination of the relationship. Again, to ensure consistency, these processes should be automated across the organization. 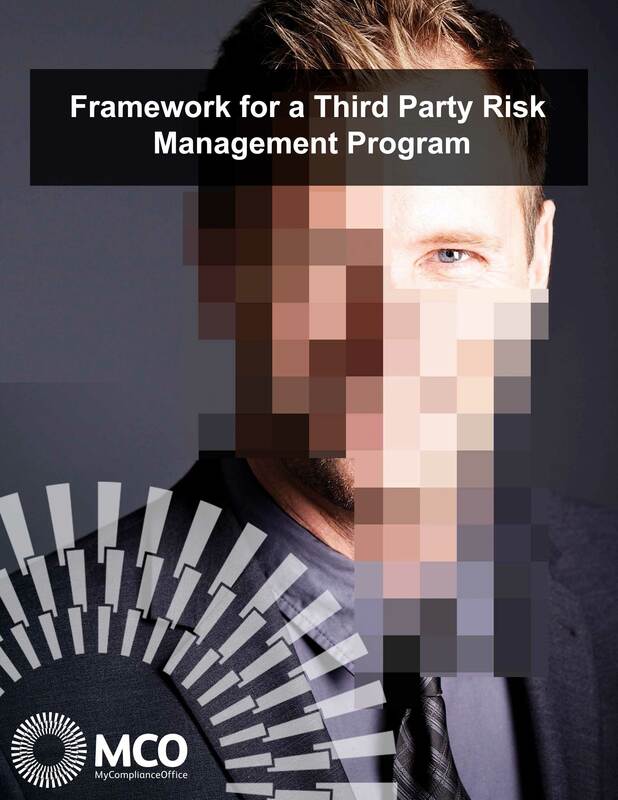 Onboarding and terminating third party vendors is only one part of an effective third party risk management program. Click below to learn more about the other essential elements of a third party vendor risk management framework. This part of the process requires deeper dives into areas of risk such as IT security, financial stability, corruption and bribery etc. This is accomplished through multiple activities including the use of in-depth questionnaires, the screening of third parties against external databases such as World-Check, Dun and Bradstreet for financial standing and the scheduling and documenting of activities such as on-site visits, phone interviews etc. "Thanks to MCO we are now confident that all our third party vendors have been properly screened and on-boarded with the best standards of due diligence"